Rami Malek is an American actor, who plays vampire Benjamin in the mystical film The Twilight Saga: Breaking Dawn – Part 2, computer genius Elliot Alderson in the series Mr. Robot. Hollywood actor Rami Said Malek was born in California. His parents moved to Los Angeles from Cairo. His father worked there as a guide, and the mother was an accountant of Greek descent. Having moved to California, the couple had children: a daughter, then twin sons - Sami and Rami. The children attended Notre Dame High School, where Kirsten Dunst also studied. Later, Rami Malek admitted that during his school years he was in love with the beautiful girl. The parents saw their children as respectable people with prestige professions. They wanted the daughter and sons to become lawyers or doctors. Two children met the expectations of the mother and father because the daughter received a medical degree, and Sami became a teacher in the Los Angeles school. But Rami already knew at school that he would be an actor, which upset his parents a lot. In 1999, Rami Malek entered college, and graduated from it four years later, receiving a bachelor's degree. During the studying, the young man appeared on the stage. The parents visited the premiere of the play. After the production, they put up with Rami’s desire to become an actor. But the path to stardom was long. At first, the future actor cooked shawarma and delivered pizza. He worked as a waiter in Hollywood cafes. Rami started an acting career as a guest at various famous shows. Rami Malek started an acting career with a bit part in the popular series Gilmore Girls. In 2005, the comedy series The War at Home was released, where the novice actor got a more prominent role. 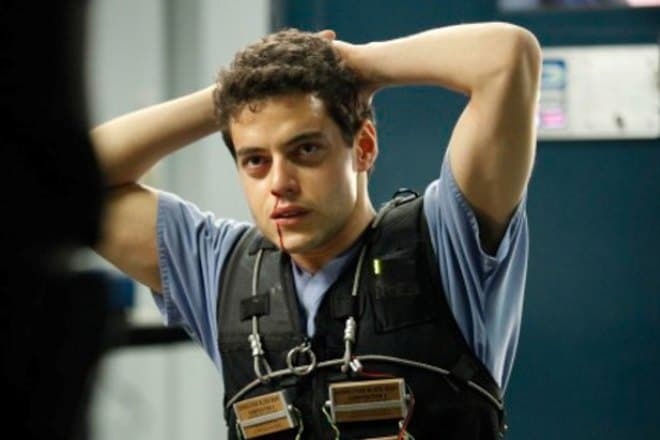 Rami Malek also appeared in an episode of the crime thriller series 24 about the work of the Los Angeles counter-terrorism unit. In the film, the actor got the role of a suicide bomber. Malek’s filmography included characters in the mystical series Medium and the war action movie Over There. The participation in these highly-rated series helped Rami get a role in a full-length film, where he succeeded immediately. 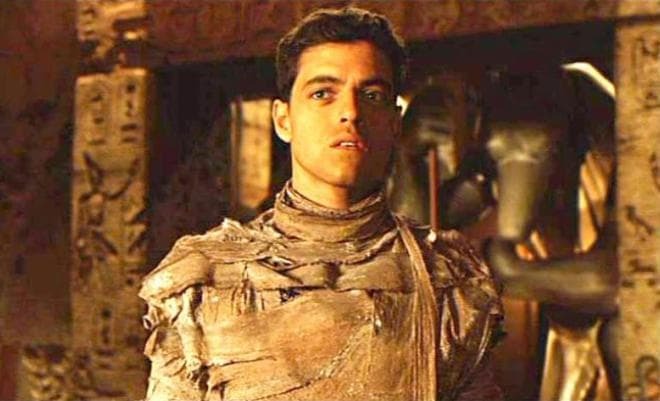 Rami became famous after the release of the film Night at the Museum, where the actor portrayed Pharaoh brilliantly. This project was highly-rated. Hollywood actor Ben Stiller played the title character in the film. In 2010, cult director and producer Steven Spielberg invited Malek to play in his project The Pacific. In the television series about the events of the Second World War, Rami played the role of Corporal Merriell Shelton. The mini-series received positive reviews from film critics and won the Emmy Award. One of its producers was Tom Hanks, who noticed Rami Malek and invited him to play in his project. The actor was cast for the role of a college student in the romantic melodrama Larry Crowne. Julia Roberts got the role of a teacher. The Hollywood star’s excellent acting impressed young Malek very much. In 2012, Rami tried his hand at a new sphere. The actor starred in a sci-fi disaster film Battleship about the invasion of aliens on Earth. Malek was a part of the star cast again. He worked with Taylor Kitsch, Liam Neeson, Rihanna. One more famous director Paul Thomas Anderson, the creator of the film There Will Be Blood, invited Rami to star in the project The Master about the leader of the cultic movement. Joaquin Phoenix and Amy Adams were the leading actors. The same year one more film The Twilight Saga: Breaking Dawn – Part 2 was released, and viewers were fascinated with it. Malek got the role of a vampire, Benjamin. The film grossed $ 829 million, although it was nominated for 11 categories of the Golden Raspberry Award. Soon the actor's filmography included one more drama film Ain't Them Bodies Saints about a loving couple, Ruth and Bob (Rooney Mara and Casey Affleck), who tried to get out of poverty committing a crime. Rami Malek played a hero, Will, in the film. The actor has also appeared in the drama film Short Term 12 and the thriller Oldboy. 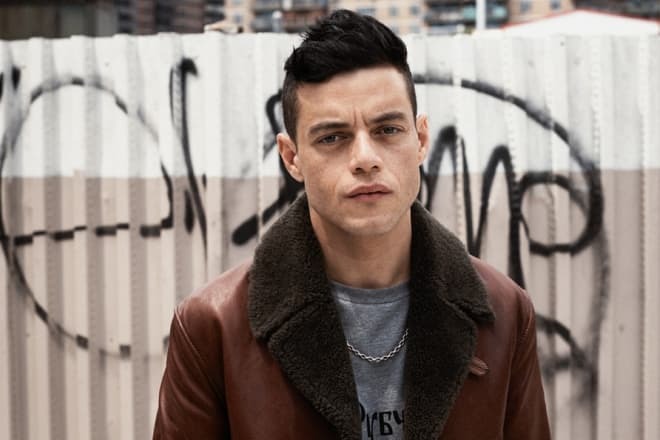 Besides working in Hollywood projects, Rami Malek does not forget to appear in the series. He starred in an episode of the science fiction television series Alcatraz, where the title characters, Rebecca Madsen (Sarah Jones) and Dr. Diego Soto (Jorge Garcia), were investigating the mysterious disappearance of prisoners. The case was not easy since the statute of limitations reached 50 years. In the series Believe about people with the superpower, Rami Malek also appeared in one of the episodes. But only after the release of the thriller Mr. Robot Rami Malek had a tremendous success that he desired since his childhood. He played Elliot, a young and brilliant IT expert, who quickly cracked the servers of the National Security Service. At the same time, Elliot has drugs addiction and does not have strong mental health. Rami Malek lives in Los Angeles, where the actor has his apartment. Malek loves secular society and communication with journalists. However, the actor hides his personal life. The rumors that the actor belongs to sexual minorities have spread on the Internet, but they are not confirmed. There was no any confirmation of the love affair with a colleague in The Twilight Saga, Angela Sarafyan. According to fans, their relationship began in 2012. But in 2015, the rumors about the love affair of Rami Malek and Portia Doubleday spread on the Internet. They played together in Mr. Robot. Fans have seen Malek with Doubleday at various events. At the same time, none of them confirmed the relationships. Although the actor has only working photos with Portia on his Instagram account, there are pictures and videos with Malek posted in 2017. The latest video shows that Rami Malek and her friends wish Portia a happy birthday, while Doubleday calls Malek “my beloved man” leaving a comment below. Today, the Hollywood star continues to film in new projects, and his fans are looking forward to watching them. In 2017, Rami appeared in the biographical drama Papillon about the brilliant burglar, Henri, who escaped from the most secure prison. In the film, Malek played with Charlie Hunnam. The film became a remake of the 1973 film of the same name, where Steve McQueen and Dustin Hoffman performed the similar roles of Henri Charrière and counterfeiter Louis Dega. The long-awaited premiere of 2018 with Rami Malek will be the biographical film Bohemian Rhapsody about the fate and work of the cult musician, Freddie Mercury. Rami has already begun to portray the protagonist. In addition to new projects, they plan to shoot the third season of Mr. Robot. The posters and teaser trailers have already appeared on the Internet. Rami Malek will play a leading role in the film again. 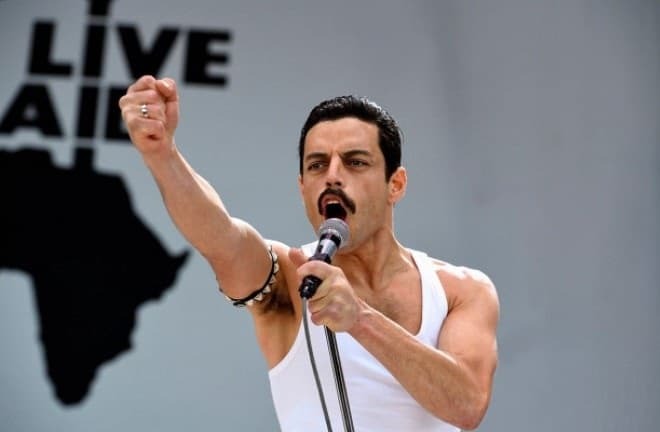 In 2019 Rami Malek played the major role in the high-grossing movie Bohemian Rhapsody about the life of Queen’s lead singer Freddie Mercury. For this role he was nominated for Academic Awards 2019 as Best Leading Actor. The destiny smiled to him and he won in this nomination.